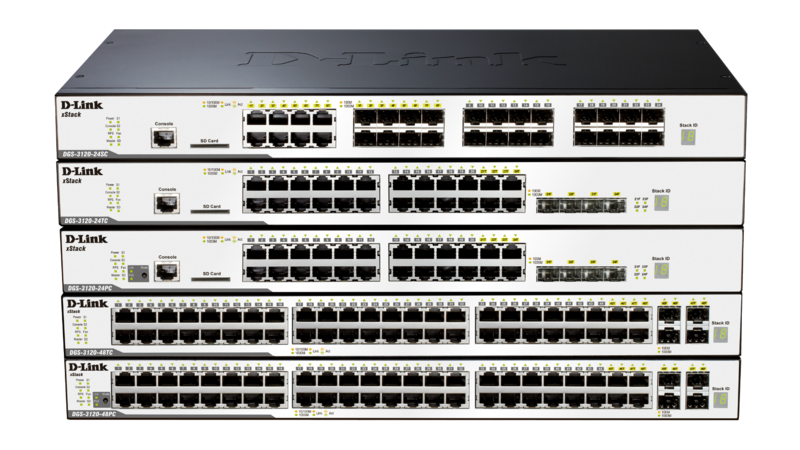 The DGS-3120 xStack Series switches are enhanced L2 access stackable switches designed to connect end-users in a secure SMB or enterprise network. 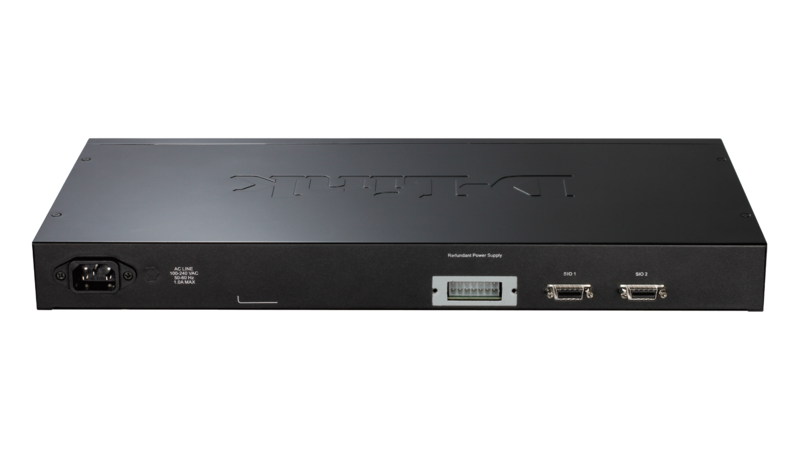 These switches support physical stacking, multicast, and enhanced security, making them an ideal Gigabit access layer solution. 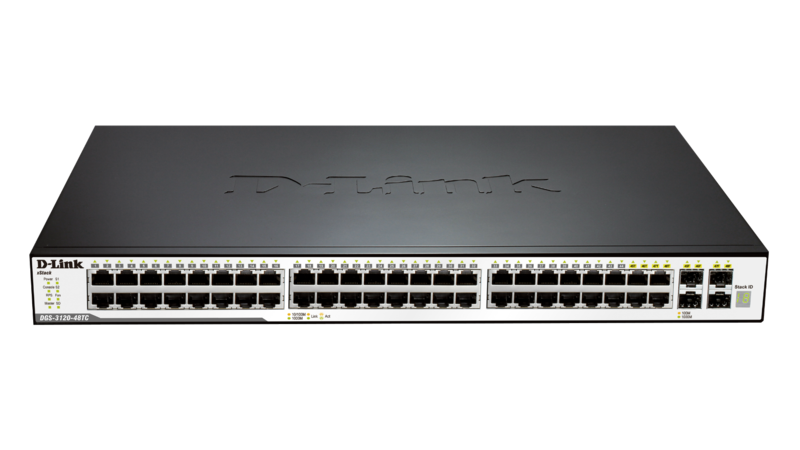 The DGS-3120-24TC/48TC provides 20 or 44 10/100/1000 Mbps Gigabit Ethernet ports, and 4 combo 1000BASE-T/SFP Gigabit Ethernet ports. 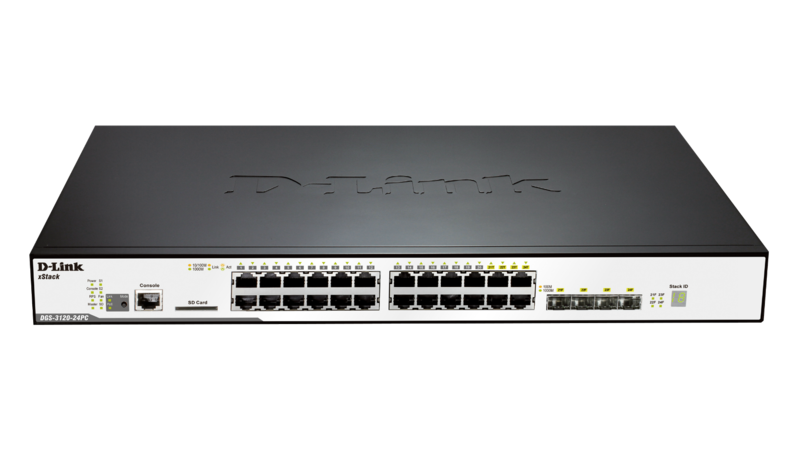 The DGS-3120-24PC/48PC provides 24 or 48 10/100/1000 Mbps PoE Gigabit Ethernet ports and 4 combo 1000BASE-T/SFP Gigabit Ethernet ports. The DGS-3120-24SC provides 16 SFP Gigabit Ethernet ports and 8 combo 1000BASE-T/SFP Gigabit ports. Each 10/100/1000 Mbps port on the DGS-3120-24PC/48PC supports the 802.3af and 802.3at Power over Ethernet standards. The default power budget for these models is 370 watts and can be expanded to 760 watts with the DPS-700 RPS. 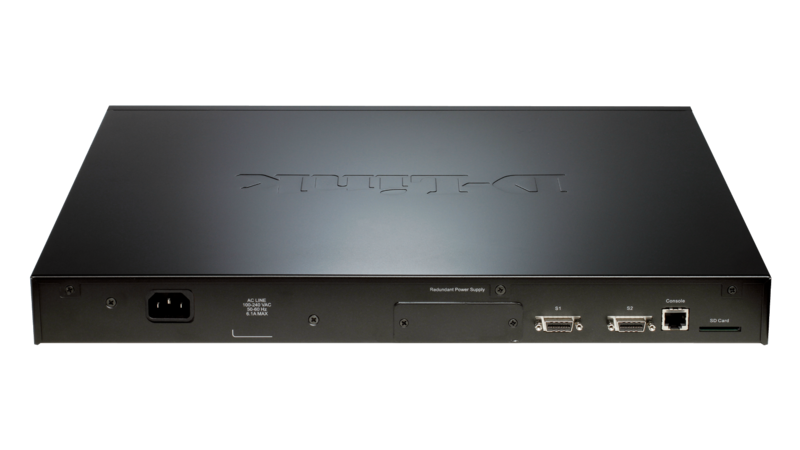 The switches are also equipped with an SD Card slot, allowing the user to boot images and upload configuration files directly from an SD Card as well as conveniently save syslog files onto the SD Card. 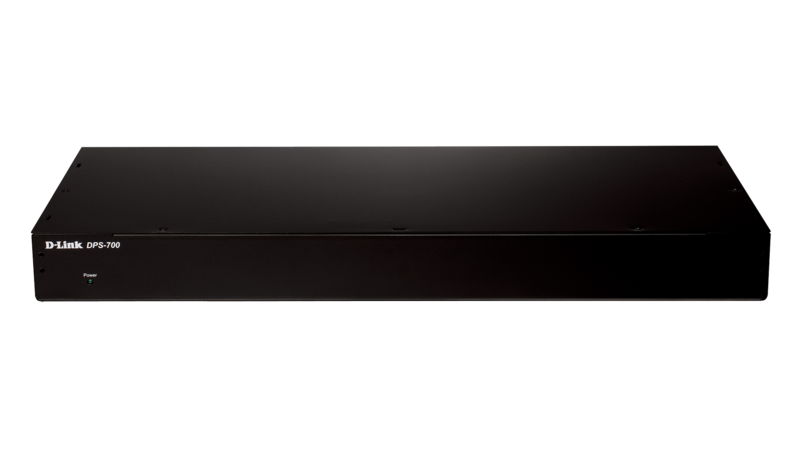 The DGS-3120 Series is embedded with two different software images - the Standard Image (SI) and Enhanced Image (EI). The Standard Image provides sophisticated features for campus or enterprise usage. It includes advanced Quality of Service (QoS), traffic shaping, L2 multicasting, robust security features, and IPv6 features which are suitable for next-generation IPv6 networks or triple play applications over Metro Ethernet*. The Enhanced Image supports ERPS, Double VLAN (Q-in-Q), Ethernet OAM, Static Route, IMPB, and sFlow. The DGS-3120 Series targets enterprises, campuses, and customers who require a high level of network security and maximum uptime. 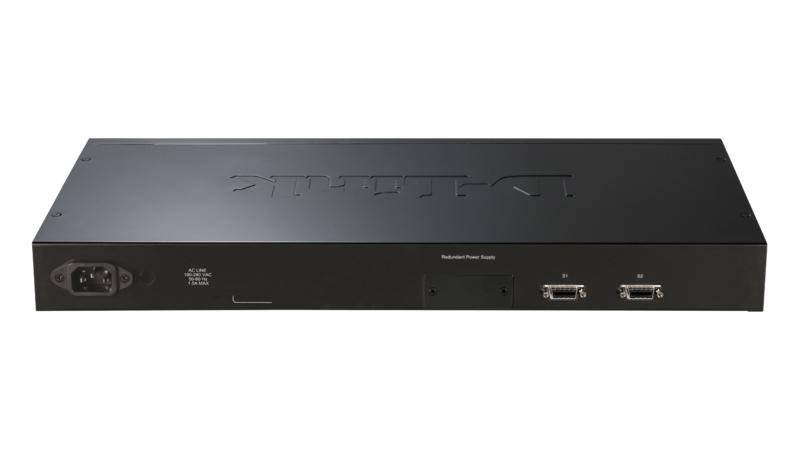 They also include other features, such as 802.1D Spanning Tree (STP), 802.1w Rapid Spanning Tree (RSTP), and 802.1s Multiple Spanning Tree (MSTP), Loopback Detection (LBD), and Broadcast Storm Control, that enhances network resilience. 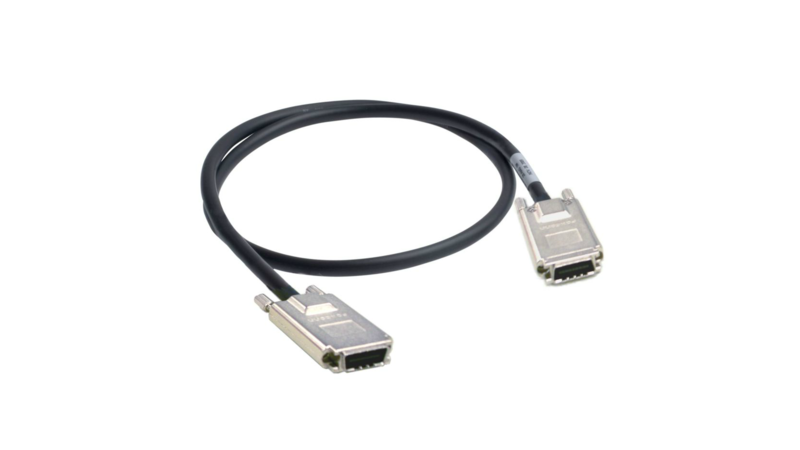 G.8032 Ethernet Ring Protection Switching (ERPS) minimizes the recovery time to 50ms. 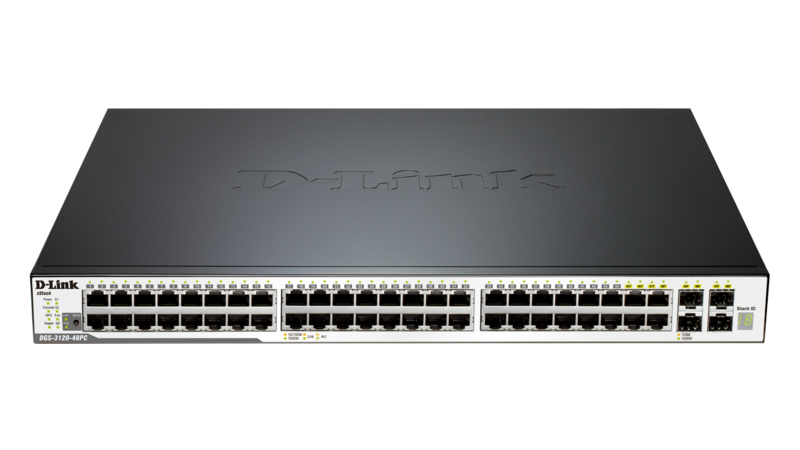 For load sharing and redundancy backup in a switch cascading/server attachment configuration, the DGS-3120 Series provides dynamic 802.3ad Link Aggregation Port Trunking. The DGS-3120 Series implements a rich set of multilayer QoS/CoS features to ensure that critical network services such as VoIP, video conferencing, IPTV, and IP surveillance are given high priority. 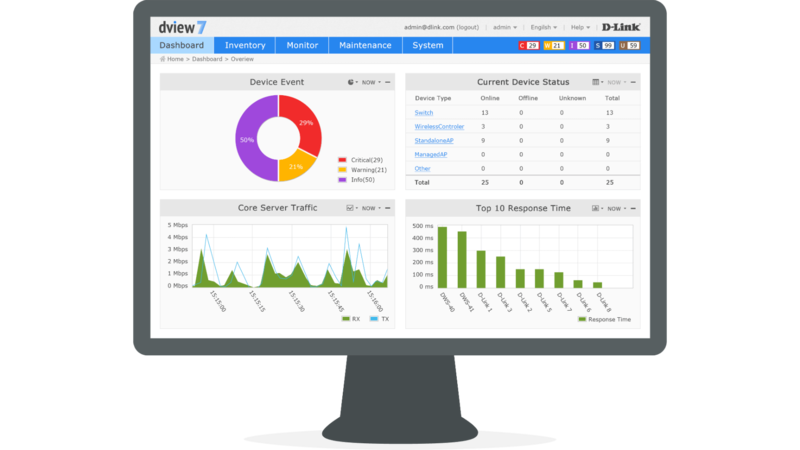 Traffic Shaping features guarantee bandwidth for these services when the network is busy. 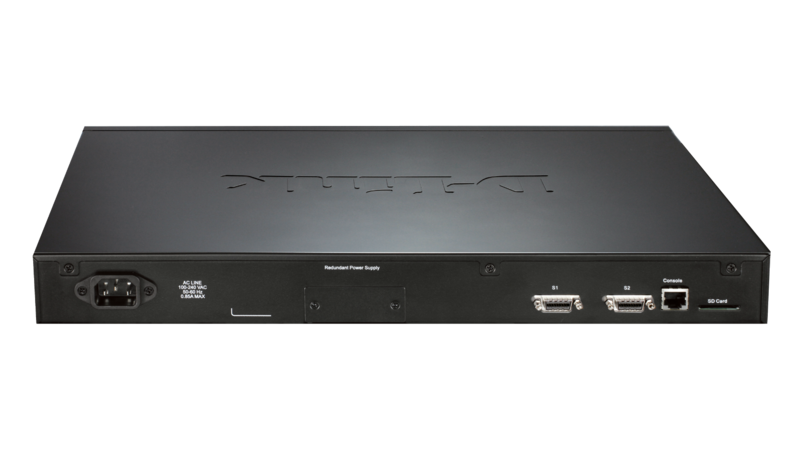 L2 Multicast support enables the DGS-3120 to handle growing IPTV bandwidth requirements. Host-based IGMP/MLD Snooping allows multiple multicast subscribers per physical interface and ISM VLAN sends multicast streams in a multicast VLAN to save bandwidth and to provide better security to the backbone network. The ISM VLAN profiles allow users to bind/replace the pre-defined multicast registration information to subscriber ports quickly and easily. 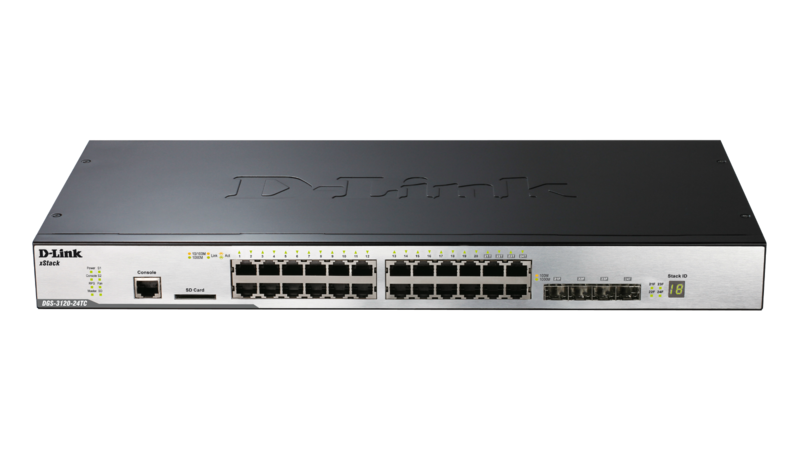 The DGS-3120 Series is fully compliant with future IPv6 networks. 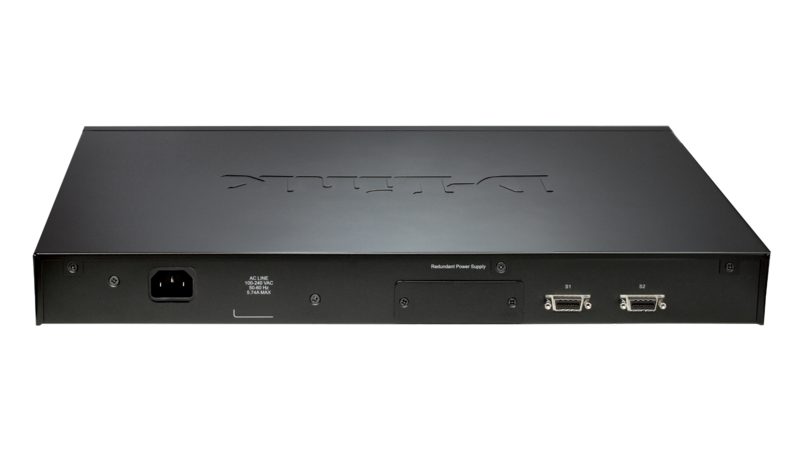 It supports remote IPv6 manageability from telnet, HTTP, or SNMP. To create secure IPv6 networks, the DGS-3120 Series uses IPv6 ACL, DHCPv6 Snooping, and Neighbour Discovery (ND) snooping functions to protect the network from illegal IPv6 clients. The DGS-3120 Series has been certified with IPv6 Ready Logo Phase 2 from the IPv6 forum, a worldwide IPv6 advocacy consortium. The IPv6 Ready Logo Program ensures the conformance and interoperability of IPv6 products. D-Link is striving to take the lead in developing innovative and power-saving technology that does not sacrifice operational performance or functionality. 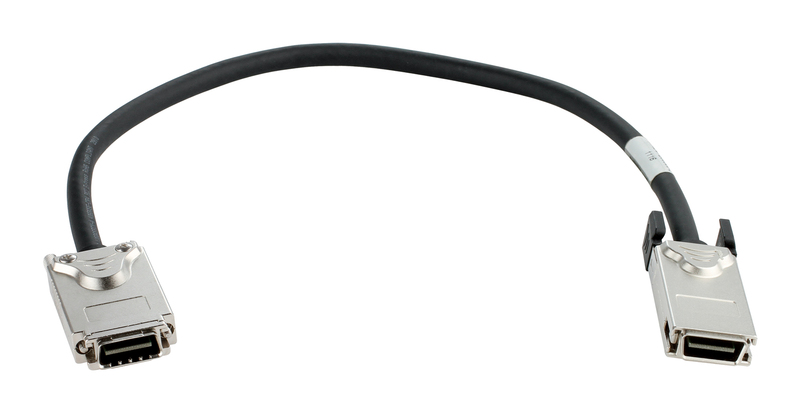 The DGS-3120 Series implements D-Link Green Technology, which includes a power saving mode, Smart Fan, reduced heat, and cable length detection. The power-saving feature automatically powers down ports that are detected to have no link or link partner. The Smart Fan feature allows for the built-in fans to automatically turn on at a certain temperature, providing continuous, reliable, and eco-friendly operation of the switch. * Supports IPv6 in firmware R3.0 SI and above.